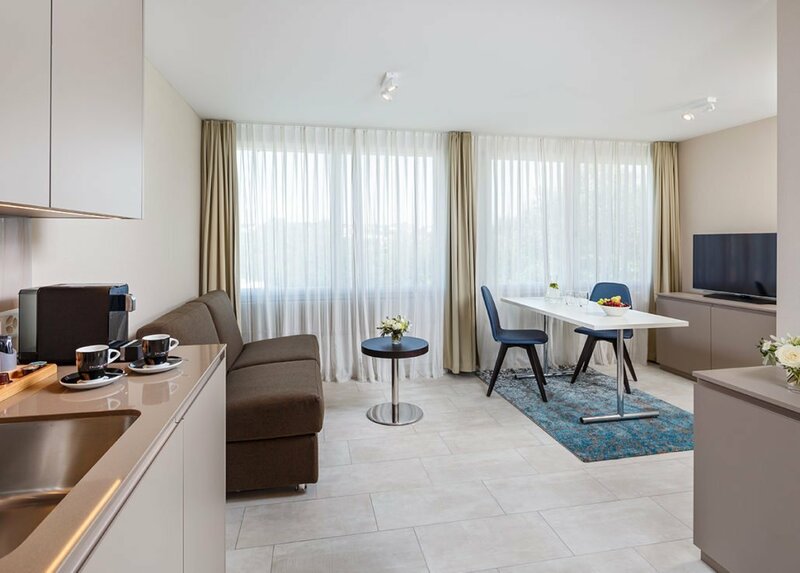 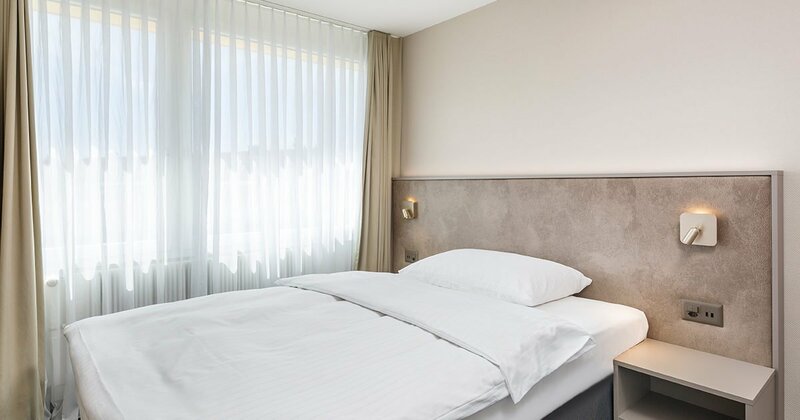 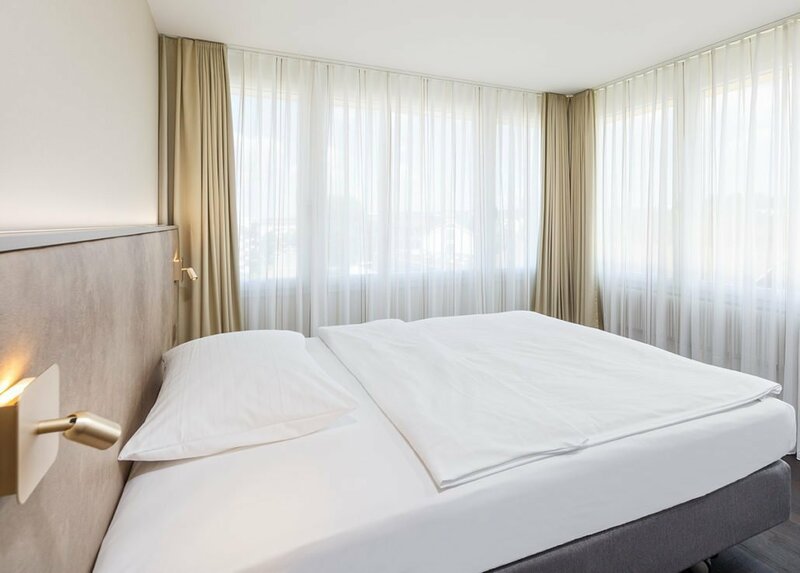 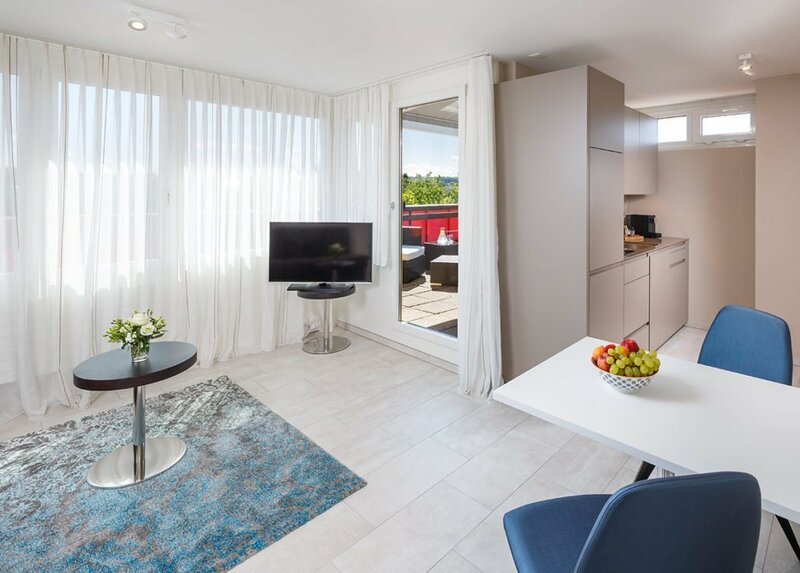 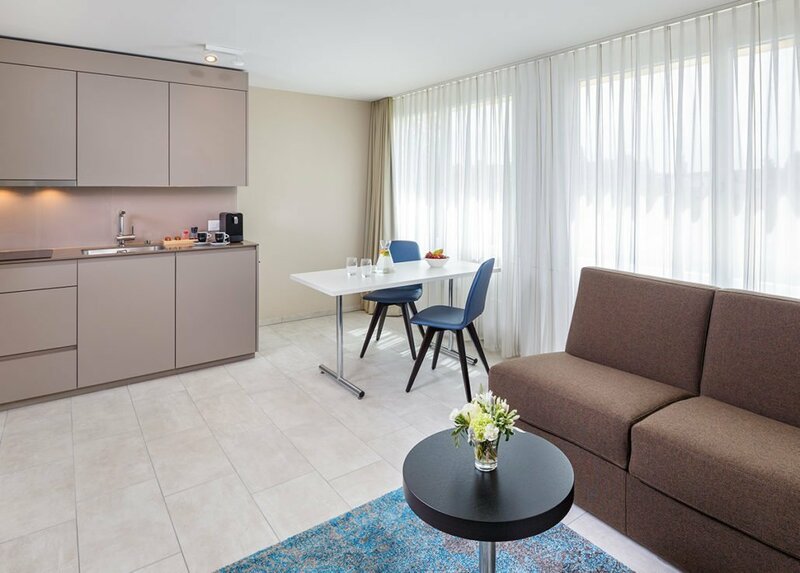 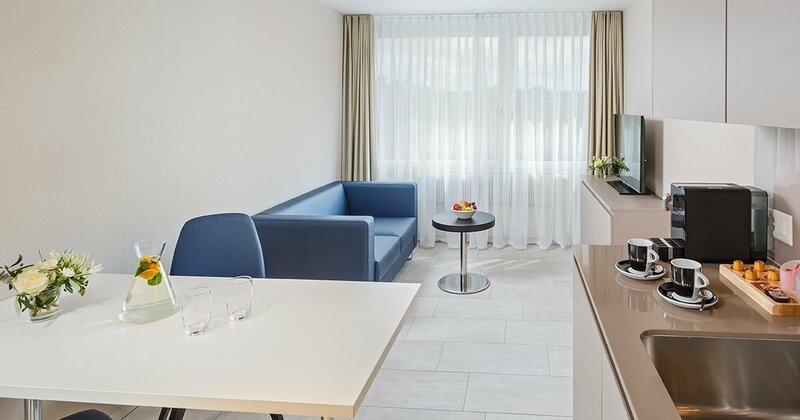 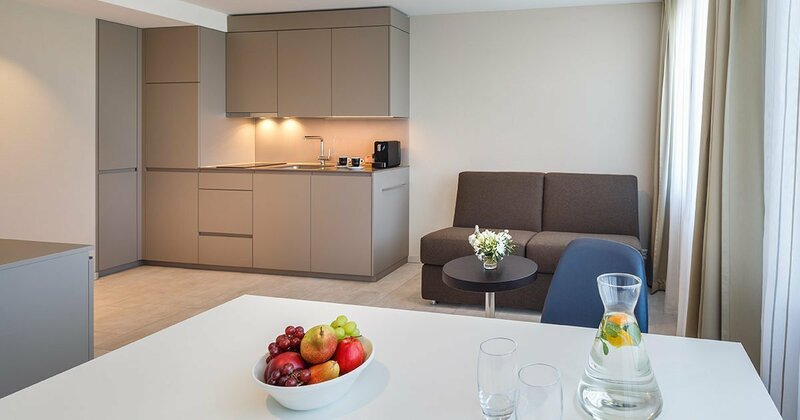 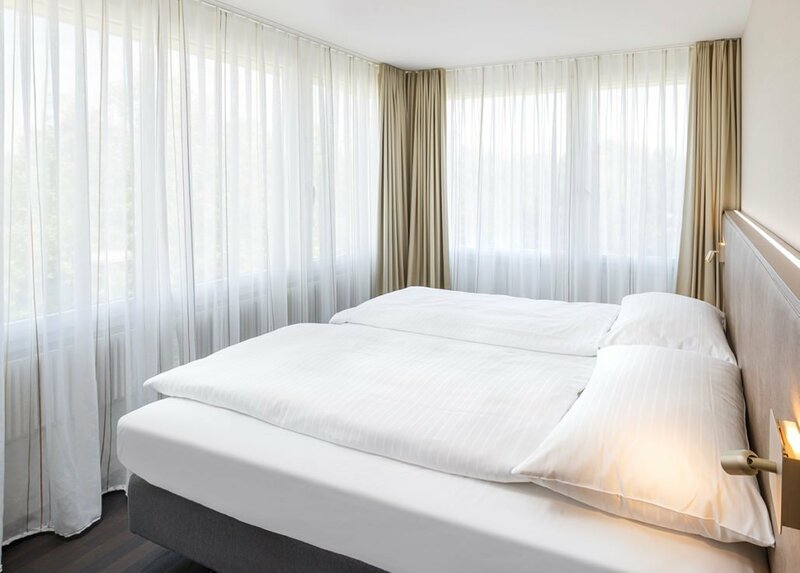 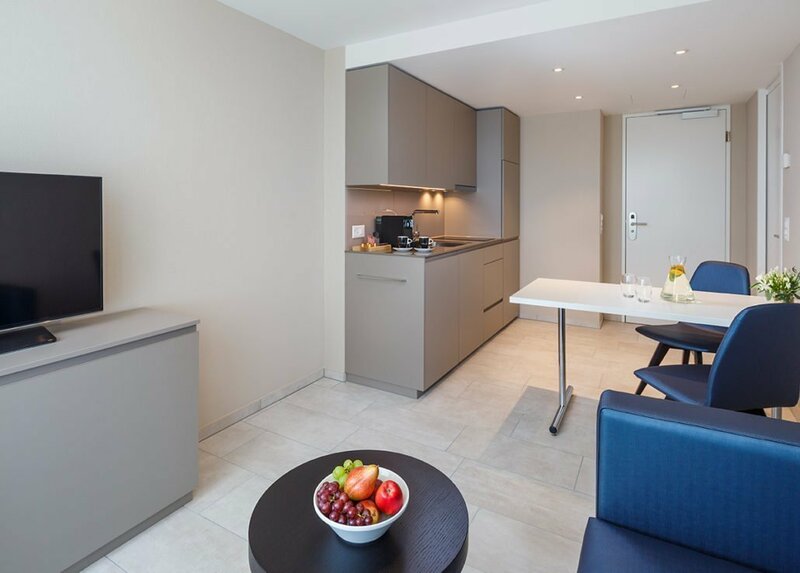 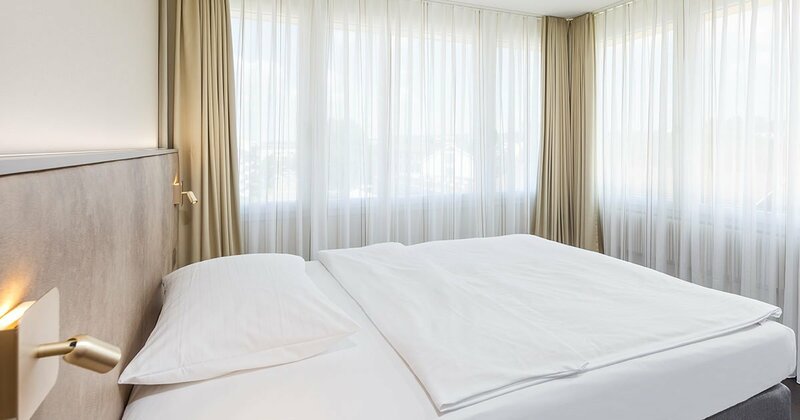 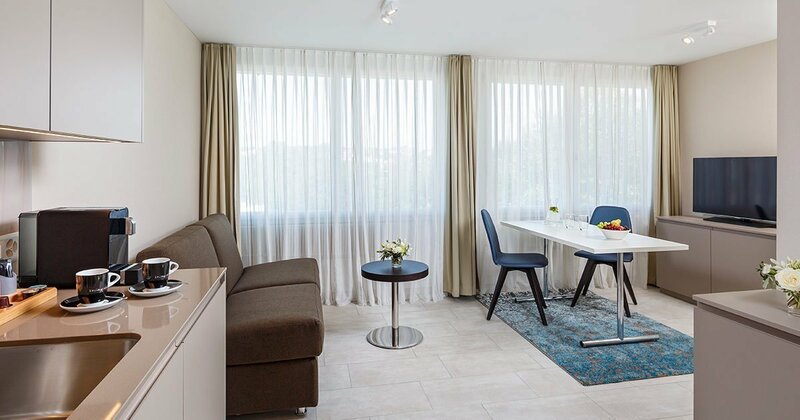 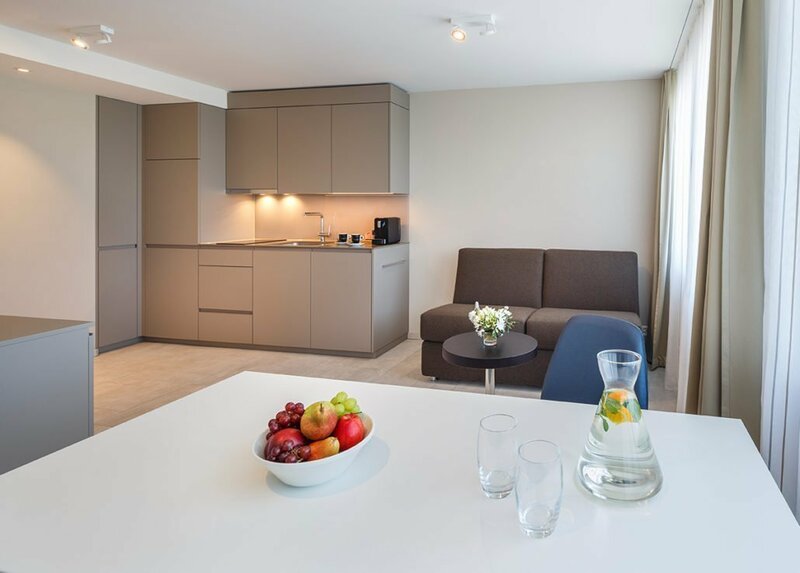 Our modern and bright Hotel Suites are ideal for private or business stays in Glattbrugg. 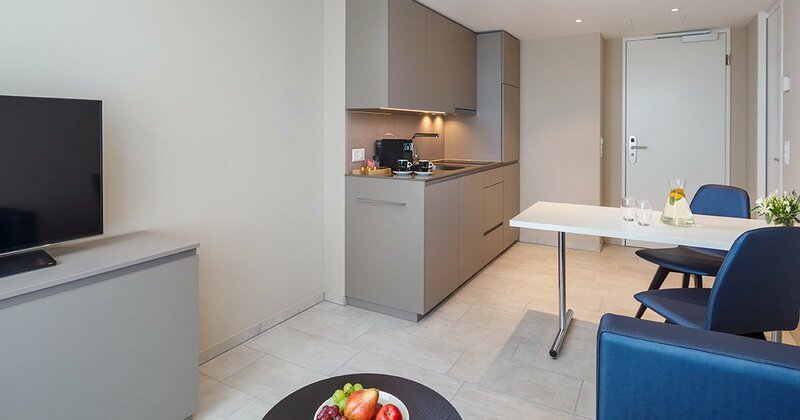 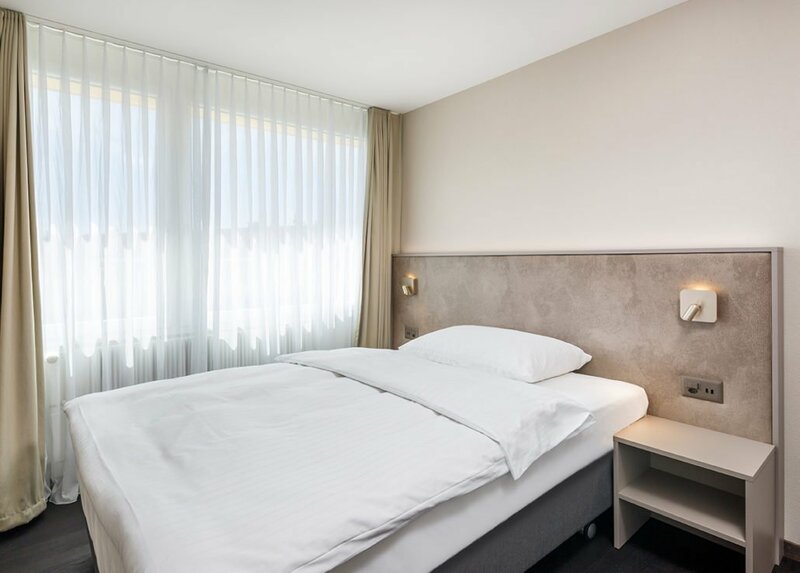 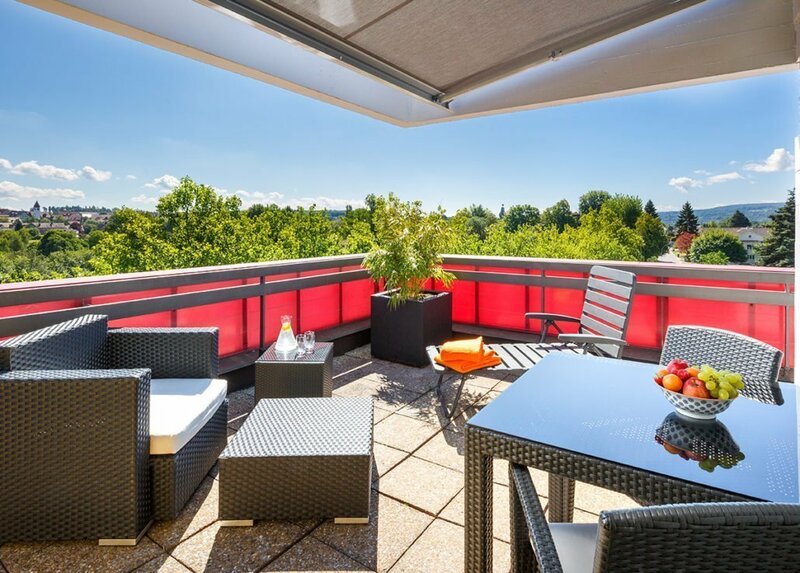 Our attractive price model starting from stays of two nights guarantees that longer stays of up to one month in the Zurich airport area are also worthwhile. 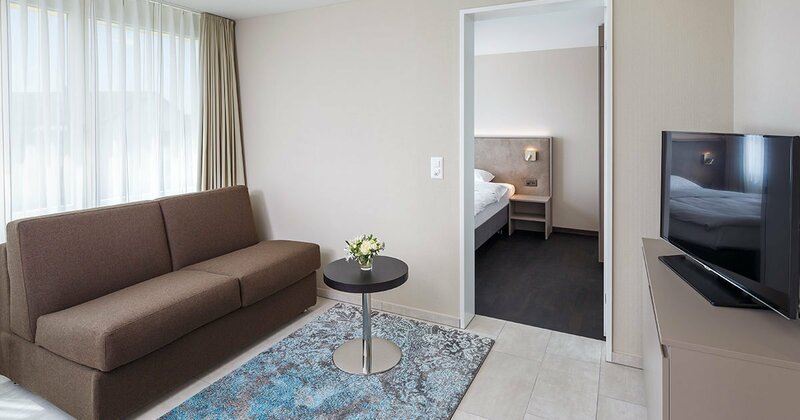 We have one wheelchair-accessible room and four disabled-friendly rooms. 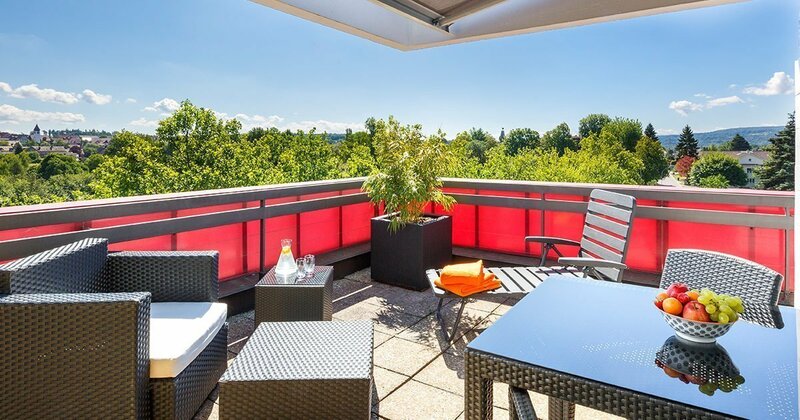 Please contact us directly about this by e-mail. 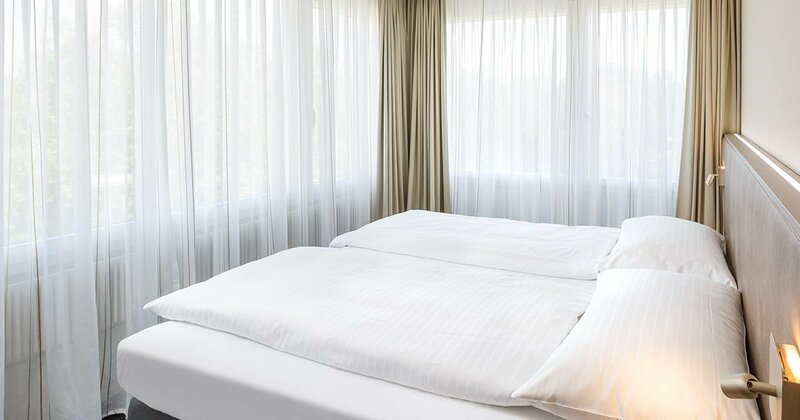 No pets are allowed in the Hotel Suites. 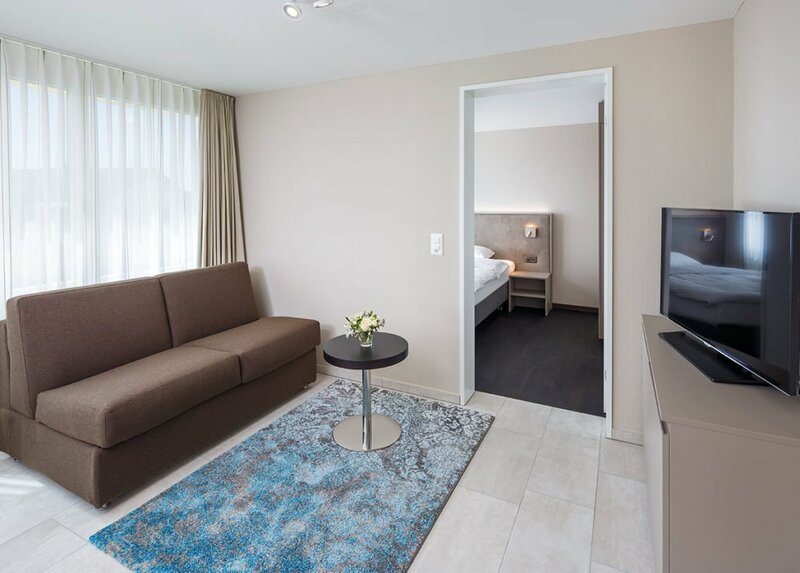 Book your Hotel Suite quickly and easily online using our website and benefit from our best price guarantee! 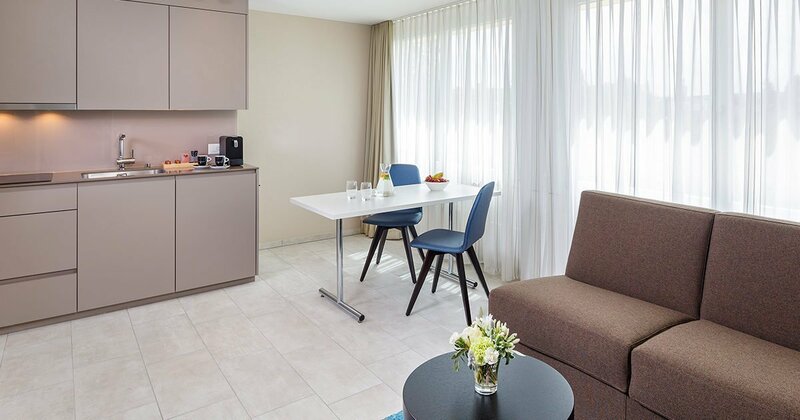 For any questions about our Hotel Suites, please contact us by e-mail. 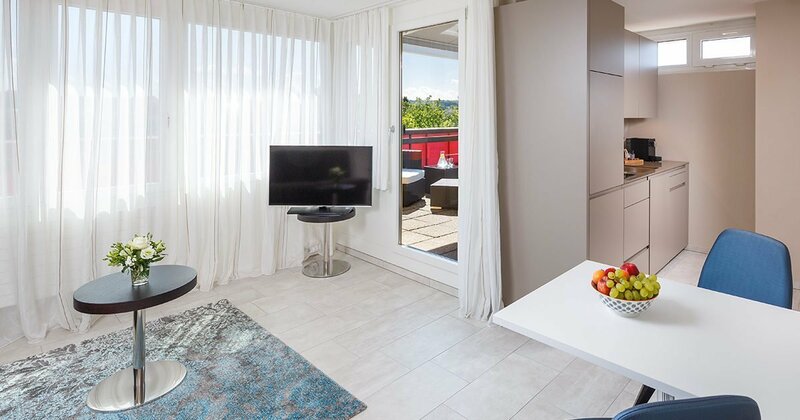 We look forward to your request! 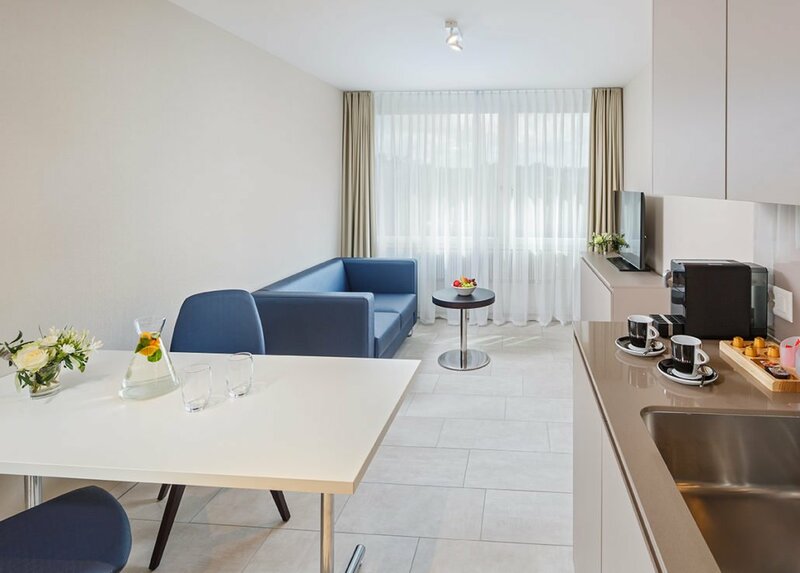 Our hotel services at a glance!